A local MPP will be one of nine members of committee given the duty to look into the fiscal activity of the previous provincial government. 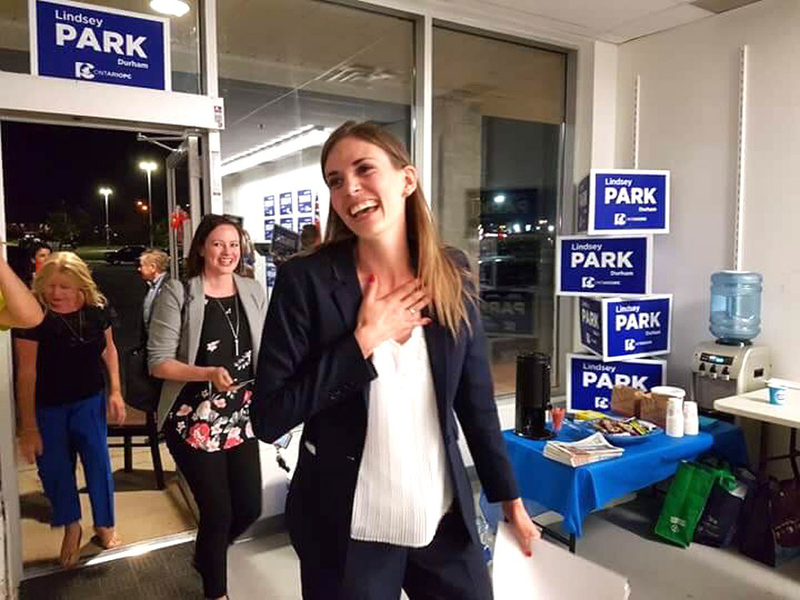 Lindsey Park, the Conservative representative for the riding of Durham, was named to a Select Committee that will review the Ontario’s financial situation. The committee will consist of six Conservative and three NDP MPPs. It will have the power call witnesses, compel documents and gather evidence. Its report is expected to be complete in December. The Ford government moved to strike the committee after Finance Minister Vic Fedeli estimated the province’s deficit would be $15 billion at the end of this year, instead of the $6.7 billion figure quoted by the Liberals leading up to the provincial election. Fedeli’s deficit estimate comes from an commission of inquiry that used different accounting methods for pension assets and money borrowed to reduce electricity rates. The accounting methods were endorsed by the province’s Auditor General Bonnie Lysyk on several occasions, a point of contention with the Wynne government. The $15 billion estimate also accounts for Liberal child care, pharmacare and dental care spending including in the March budget that have been cancelled by the new government. Park was elected in the revised riding of Durham in June, replacing Liberal incumbent Granville Anderson.